What Rare.io Triggers and Actions are Supported? Find a Contact - Find an existing contact by email address. Add/Update Contact - Add or update a contact. Unsubscribe Contact - Unsubscribe an email address from your account or remove a contact from a customer list. 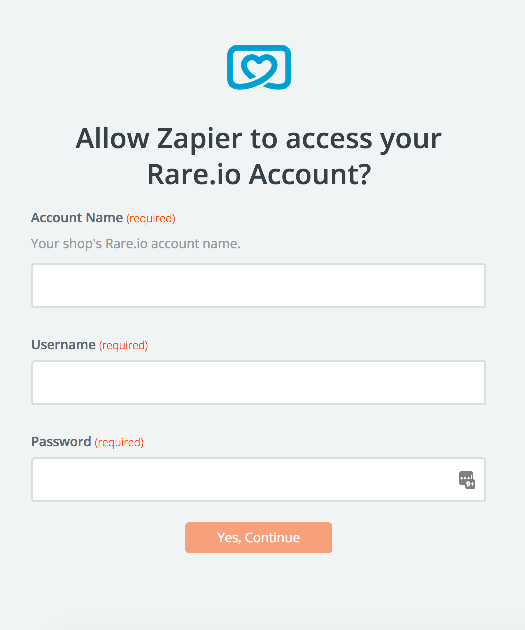 To get started with Rare.io on Zapier, first you will need to click to connect your account to use with your Zap. Next, you'll be asked to enter your Rare.io username and password. 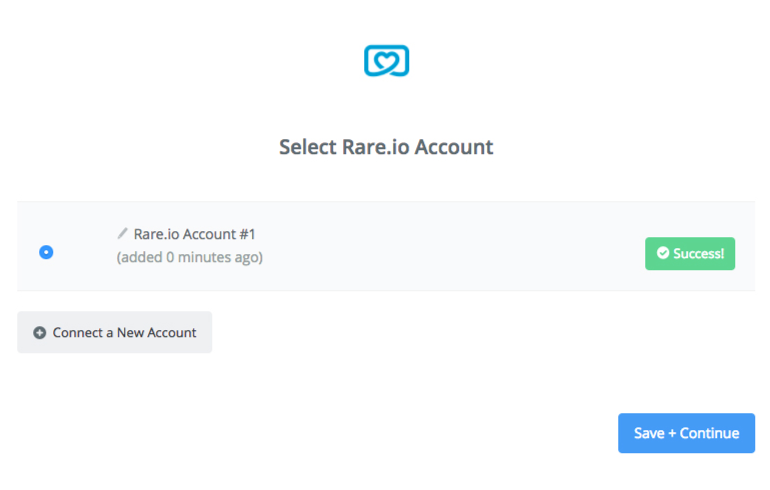 Click “Continue” and if your login details were correct your Rare.io account will now be successfully connected.